In my home, the arrival of October is cause for a celebration. Longing for cooler days and a break from the southern heat, we start to tuck away our summer clothes (finally) and pull out our favorite chunky sweaters, winter scarves and fuzzy boots. We make a special trip to Starbucks the morning of on October 1 to sip our favorite fall lattes, brainstorm creative DIY costume ideas for Halloween, and my favorite part of all, plan out a visit to the local pumpkin farm. I love pumpkins! (Both the fruit and the latte.) They are a staple in our home’s fall décor and are so much fun to paint and decorate with! Over the past few years I have been really inspired by all of the really creative ways I’ve seen them styled—who knew they were so versatile? When I was growing up, they came in three variations: orange, pie and jack-o-lantern. Today, the possibilities for your pumpkin décor are endless and many require no carving! 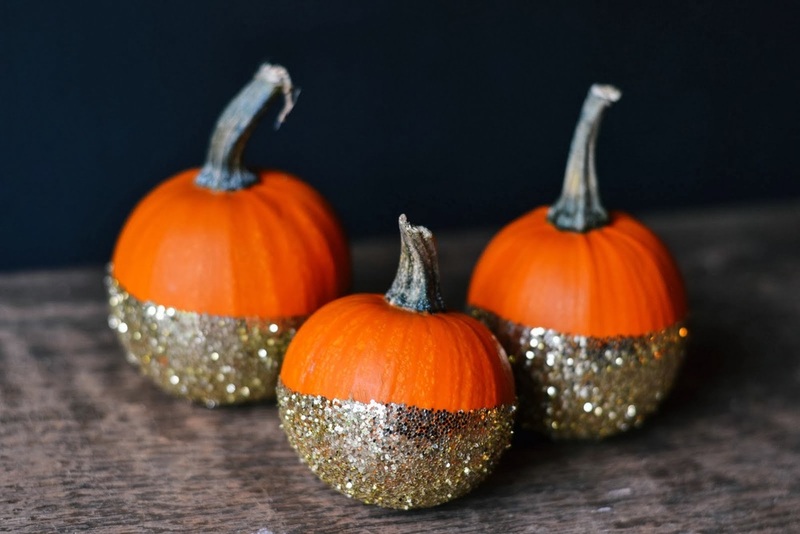 Check out these festive and inspiring ways to style your gorgeous gourd this year!